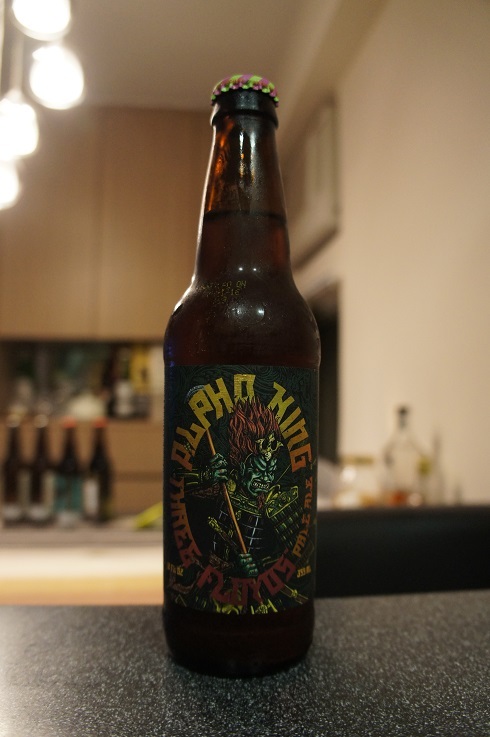 Category Archives: Three Floyds Brewing Co. 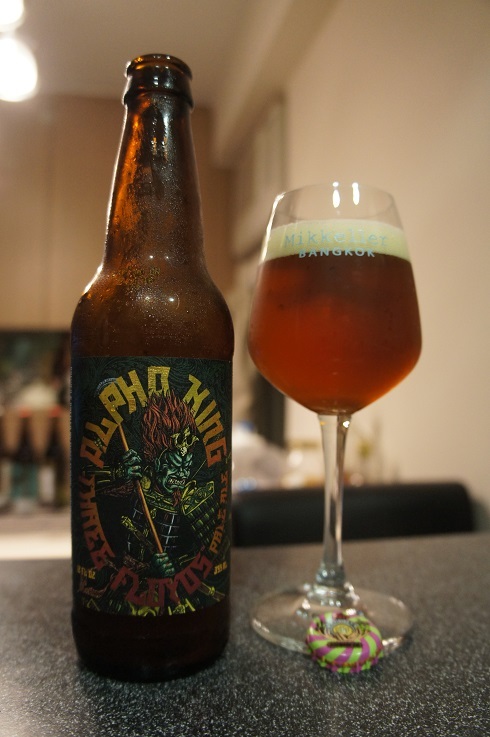 Brewer Description: (from bottle) Alpha King is a bold yet balanced American Pale Ale with slight sweetness and aggressive citrus hoppiness. Intro: A 12 fl oz. bottle bottled on March 31st 2016 and poured into a mini Mikkeller long stemmed tulip glass. Appearance: It poured a clear copper colour with a one finger off white head that had decent retention and left nice lacing. Aroma: A bit light but grapefruit and pine come through along with some caramel malt. Taste: Bitter citrus grapefruit, lemon and orange peel, sweet lemon tea, lightly sweetened tea, pine and caramel malt in the background. Overall: Nice and well balanced. Good mix of bitter and sweet. 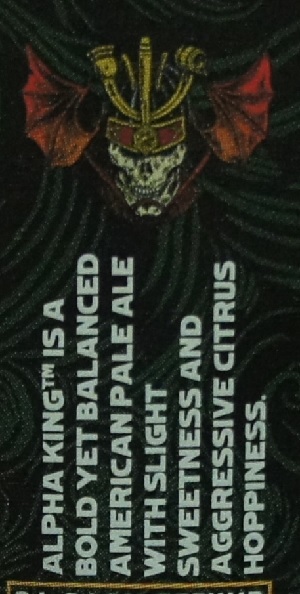 Brewer Description: (from bottle) From the dawn of time, humans have looked to the sky for answers. 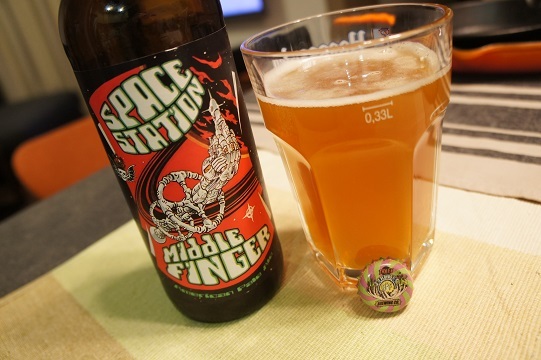 Space Station Middle Finger replies to all from its eternal orbit. 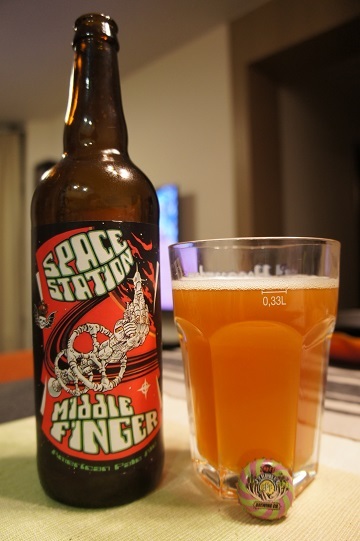 Behold and enjoy Space Station Middle Finger. A bright golden american pale ale. Intro: A 22 oz. bomber with no indication of any bottled on or best before date on the bottle. Poured into a pint glass. Appearance: Pours a hazy darkish orange colour with a thin white head that does stick around for a while. Aroma: Smells a little weak, but of pine, citrus hops and grapefruit along with some caramel at the end as well. Taste: A strong malt background of bread and caramel at first followed by citrus grapefruit and orange turning tropical fruit mango. Finish is a lingering bitterness. Mouthfeel: Medium bodied, with medium carbonation and slightly sticky. 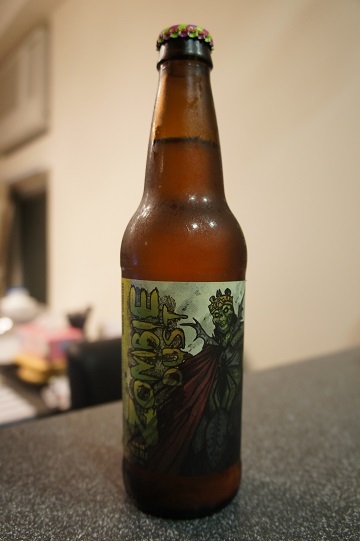 Overall: This was decent from 3 Floyds. 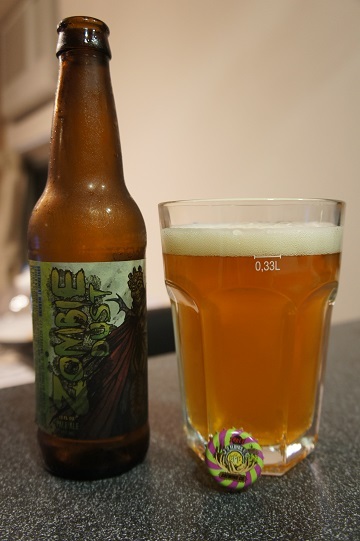 It starts sweet and finishes bitter but overall I still easily prefer Zombie Dust. Brewer Description: (from website) In the seemingly endless cruelty, battle and strife of the Hyborian Age, a warrior has but two pleasures: decimating one’s enemies in battle, and a horn of Cimmerian Sabertooth Berzerker to slake the thirst of victory. 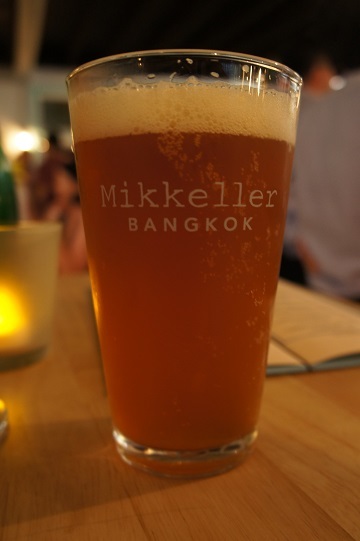 Intro: Excited to see this on tap at Mikkeller Bangkok. Appearance: Served in a pint glass a hazy copper orange colour with an off white one finger bubbly head. Aroma: Strong aromas of citrus grapefruit, lemon peel and pine with some caramel in the background. Taste: Much like the smell, the immediate taste is bitter hoppy grapefruit and caramel malts. 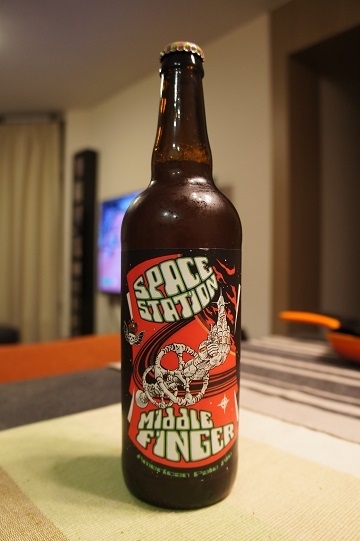 There is some aftertaste of piney hops and spice. Mouthfeel: Medium to full bodied, with good carbonation. Overall: Maybe my expectations were too high to begin with, but this was only ok for me. I enjoyed the grapefruit and pine hoppyness but perhaps a bit too much caramel malt sweetness.